My daughter Ellie, husband Nicholas, and I, live in a super hilly area. Still trying to lose my baby weight (a year later… but who’s counting?! 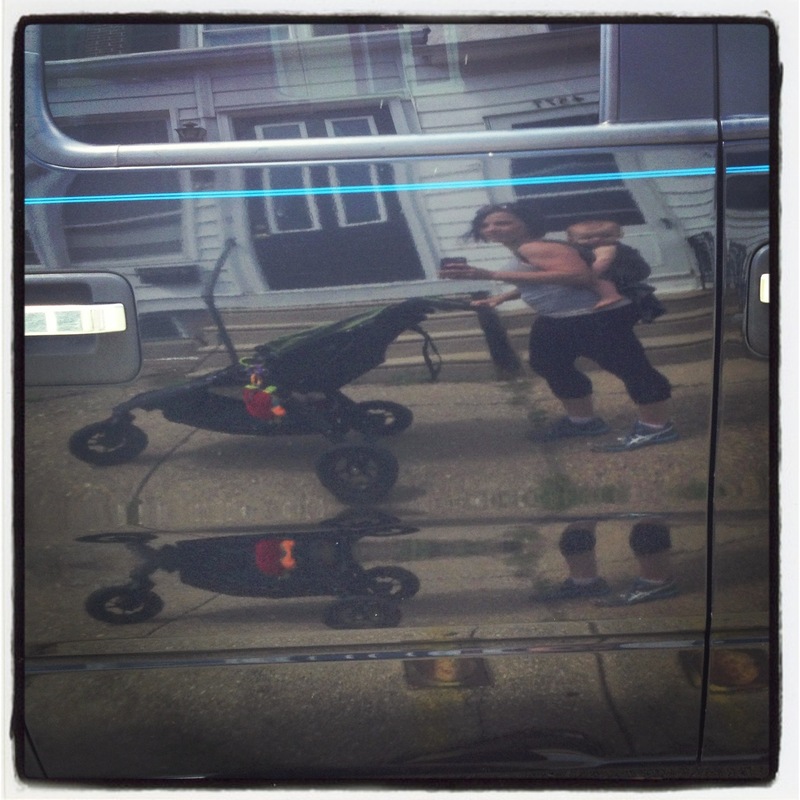 Lol) I like to go for run/jog/walks in our heavy duty City Mini GT jogging stroller. This thing is seriously da bomb. It is a solid piece of equipment that really does well both on and “off road” (which was very important to my husband as a Jeep Wrangler kind of guy). Probably because she’s not in it constantly, Ellie usually seems to enjoy the different point of view being in the stroller provides. It’s definitely more appropriate than running with her strapped to my back. 😉 Combined with the hills, pushing it also makes for a killer workout. Anyway, back to my story… The weather this week has been beautifully out of this world. We decided to go for a run/jog/walk (just trying to be honest, some walking is involved), and on our way home I thought it would be fun to stop at a local park. It was a great time! We met up with another mama and her beautiful kids (who I met through “Where We Wear”!) and Ellie enjoyed toddling around. Realizing it was getting close to nap time, I tried to put Elle back in the stroller. She whined with an arched back, making it clear that was not going to happen. No problem!!! See, I always stash away a carrier with me, just in case we need it. So, out of the stroller she went, right up onto my back where she was cozy and happy as a clam. The walk home was interesting. I grabbed a photo of us in the reflection of a truck to capture the moment. I got a lot of slowed-down-drive-bys as people tried to understand why I was wearing a baby on my back and pushing and empty stroller. I get it. We looked kinda strange. But we made it home happily and ready for a lovely afternoon nap. It’s not the first time Babywearing has come to the rescue for me! How about you? This happens to me all the time with my DD. I always have at least a RS with me so I can wear her if she gets fussy. It beats having to carry her in my arms AND push a stroller. And the stroller makes a nice shopping cart/diaper bag/baby paraphernalia holder.